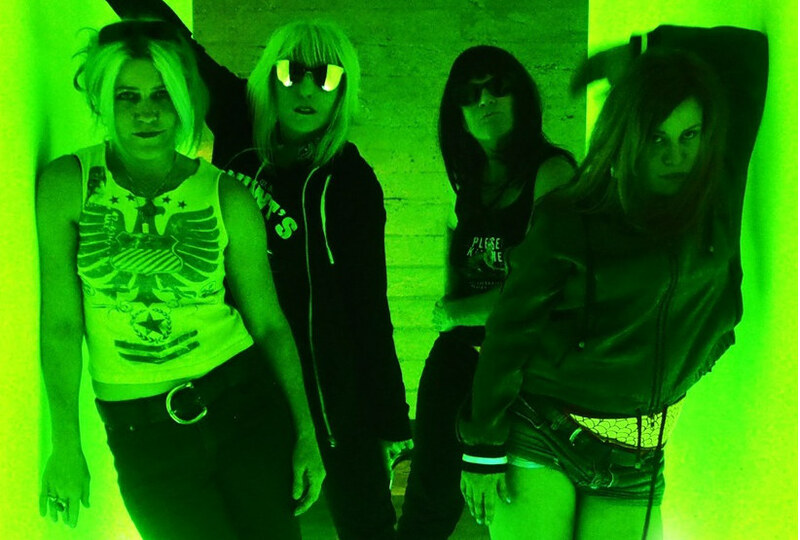 L7’s drive to crowdfund the recording/release of an (as-yet-untitled) comeback album has finally reached its goal, though there were a couple speed-bumps along the way, most notably in June when drummer Dee broke her arm a mere 12 hours before they were due to fly to London to kick-off their European tour. Harsh. Thankfully they found a few good women (including “Motley” Mel McFail) to fill in for her*, and no surgery was required, so hopefully she should be all healed up in time to start working on new material later this month! Yay! This is my first time contributing to a PledgeMusic project, so I’m not quite sure how these things work, but as far as I can tell you can still order items (including a CD and/or download of the proposed album) from their page, even after the goal has been reached, so keep that “long green” comin’! This entry was posted in Rants about Music and tagged L7, Mel McFail. Bookmark the permalink.